The ski resort communities above Salt Lake City have organized an annual wildflower festival in the canyons here. It’s pretty cool to see wildflowers blooming in July (because of the high altitude). These are now in full bloom, outside my window.. Very pretty! Do these smell good too? 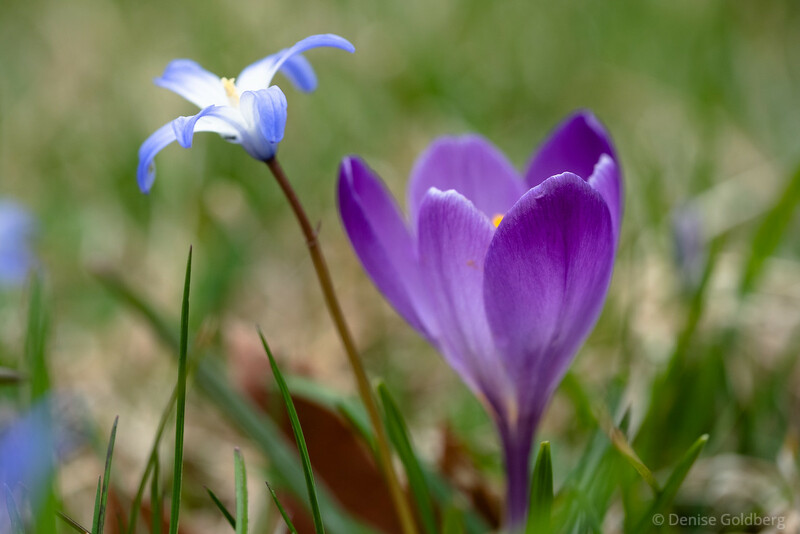 I still go out looking for new flowers even though I know they aren't blooming yet here. 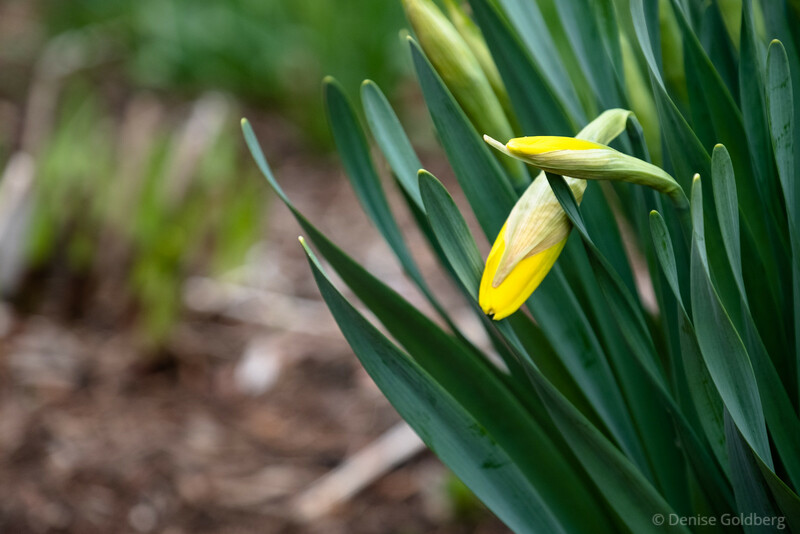 We still have tiny flowers in bloom - but I can see that the daffodils will be coming soon. .. but it's raining and my lens aren't waterproof, so I kind of rushed.. I love it that the lenses I usually use for flowers are weather resistant (as is the camera). Shooting flowers in the rain is awesome! I will have to get back to you about it! The weather wizard gifted us with warm air today so I headed to Maudslay State Park for a walk in the woods and a search for flowers. Maudslay is an old estate and the property is coverred with azalea and rhododendron (although it's still early for both of these). 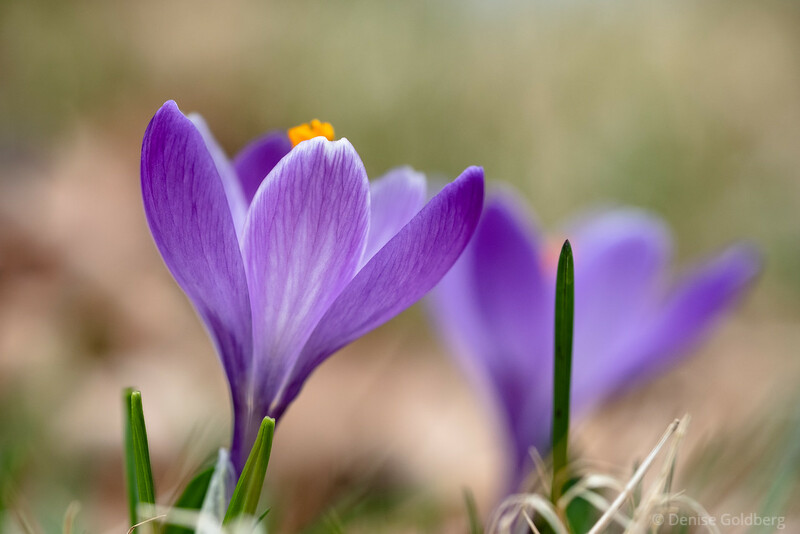 I thought it was worth checking the state of the tiny close-to-the-ground flowers, and I hoped to find some daffodils as well. 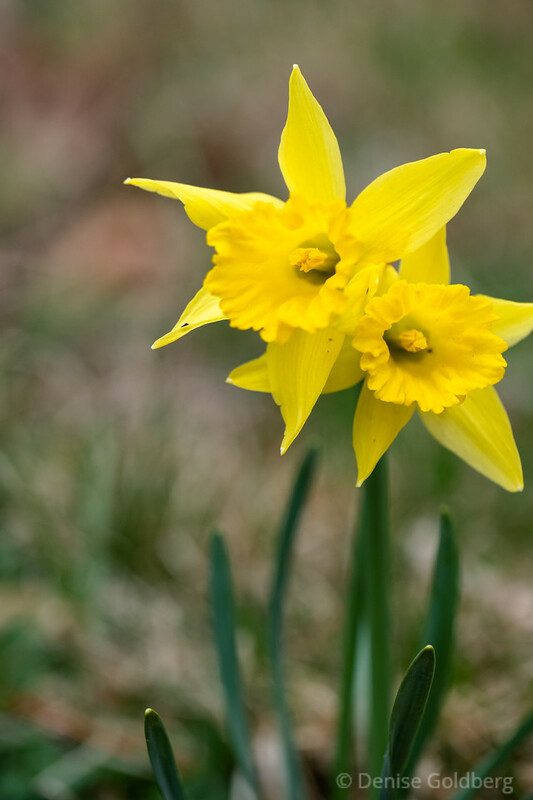 I found daffodils in pure yellow. And some wearing both white and yellow. 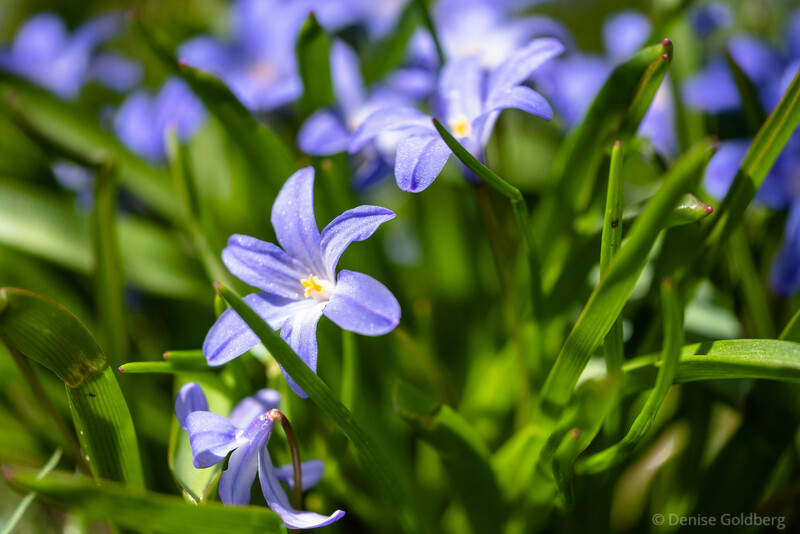 Chionodoxa and crocus continue to decorate a grassy hill. 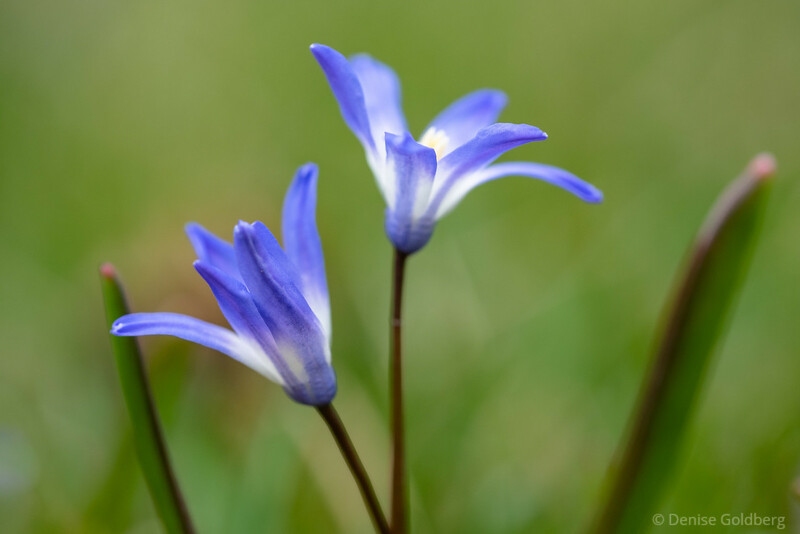 Some of the chionodoxa looked like they were dancing! And oh! 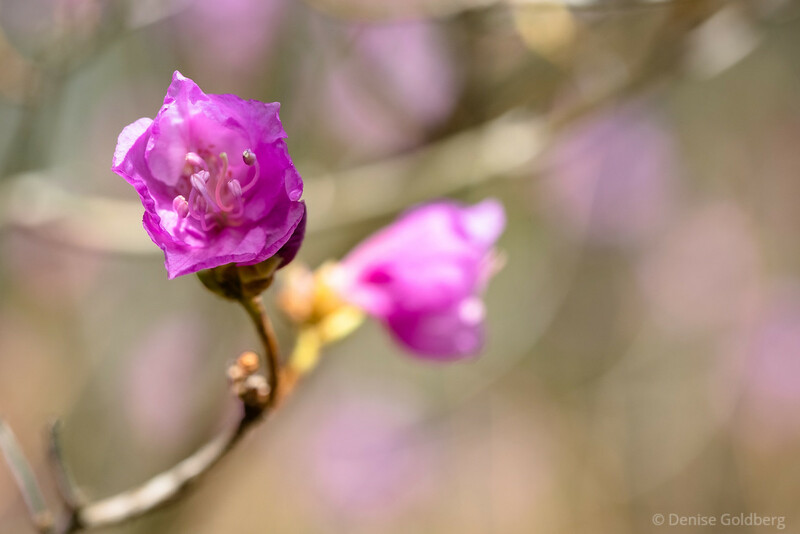 I was surprised to find an early-blooming azalea. There was only one bush that was blooming; it sported flowers only, no leaves. In front of my house, an aging knock out rose bush still blooms every spring, and lasts pretty much throughout the summer and fall.. I keep coming back to the Mission Garden in Santa Clara University where every day there is new gift of flowers. This evening some sprinkling rain and soft overcast made for a perfect backdrop of beautiful roses. After multiple shots to get the correct composition and color balance from an iPhone, I finally got the shot I liked. Right around the block from my house I saw this blooming apple tree (I think). Rain drops on the petals made the flowers even prettier. 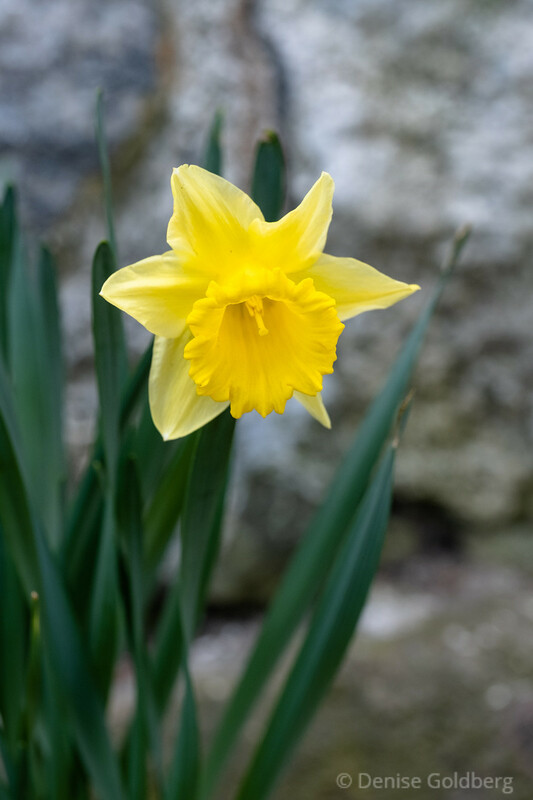 There was a surprise too, a single yellow daffodil, sheltered by the house. 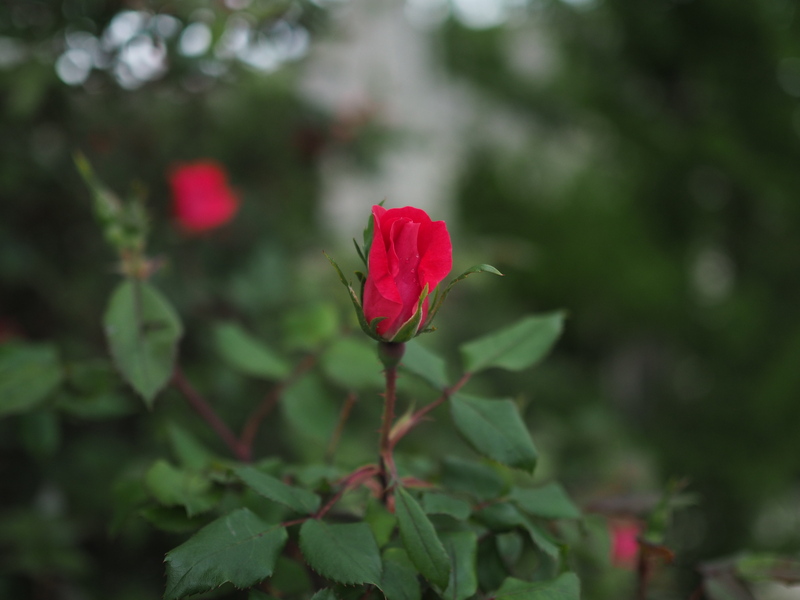 Today I brought my actual camera (Sony A7s) to the Mission Garden to get some pictures of the blooming roses. 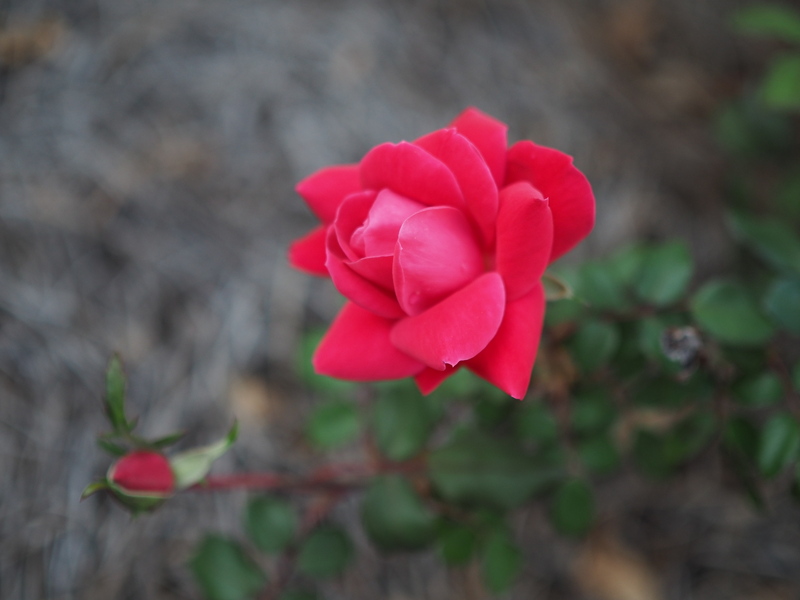 This one, although looking very simple, when compared to exotic colors of other roses, was incredibly fragrant. Wish there was a way to bottle up that fragrance and bring it home 😉. You know they make sweet roses jam which has incredible aroma, and taste. But I haven't had any in a very, very long time. As a child I used to eat the petals sometimes. Running through the super bloom today! Are those poppies @Chris! It must be wonderful to see the super bloom in person! I suspect the fragrance wouldn't have the same magic at home. There's something special about smelling roses in the garden! My bleeding hearts are just about ready to bloom! The last rays of sunlight. It was starting to get chilly in the valley I was in and there were only a couple minutes of sun left. 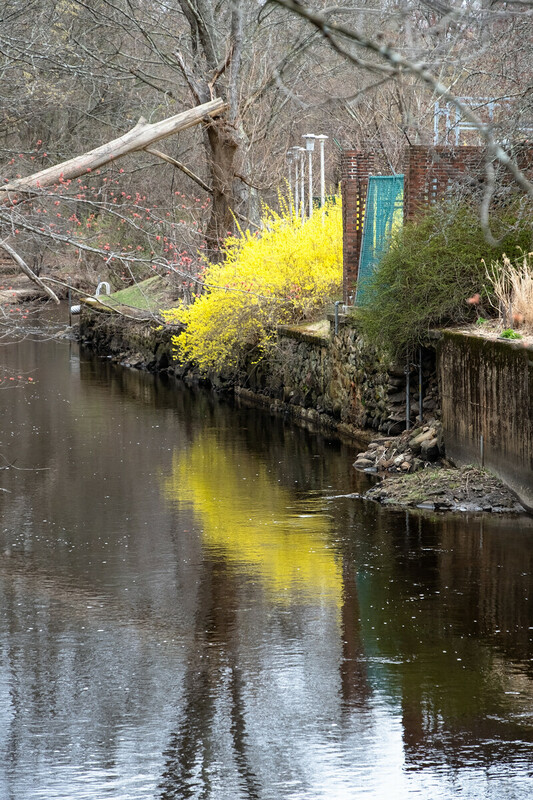 When I was out (exercise) walking this morning I looked down the Shawsheen River to see the bright yellow pop of forsythia. I kept the memory and headed back with my camera later in the day. 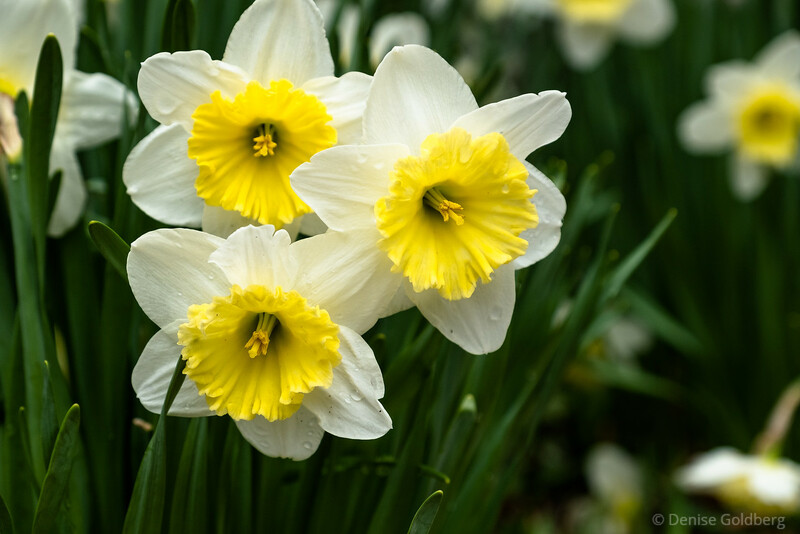 I saw many daffodils today, some fully open, some still showing buds.